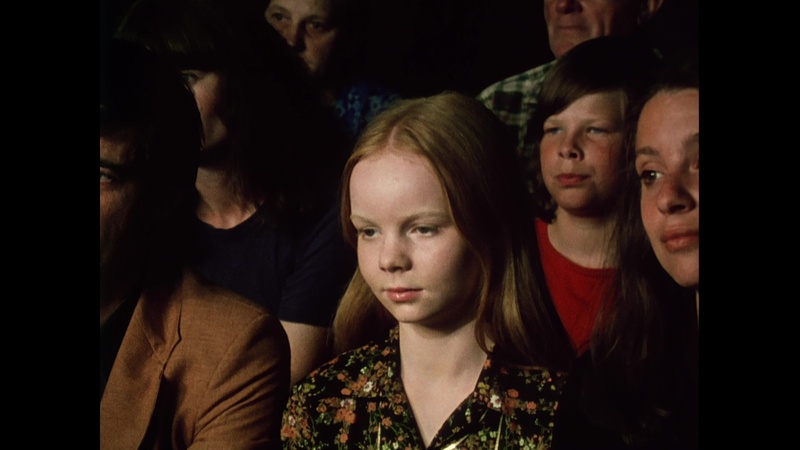 Color, 1975, 138 mins. 10 secs. About as far from a typical Ingmar Bergman film as possible in the eyes of most critics at the time of its release, The Magic Flute features the director's imagination and playfulness in full force with the chance to fulfill his decades-long dream of filming the legendary Mozart opera in Sweden's Drottningholm Palace Theatre, or what would turn out to be a replica made at the Swedish Film Institute. 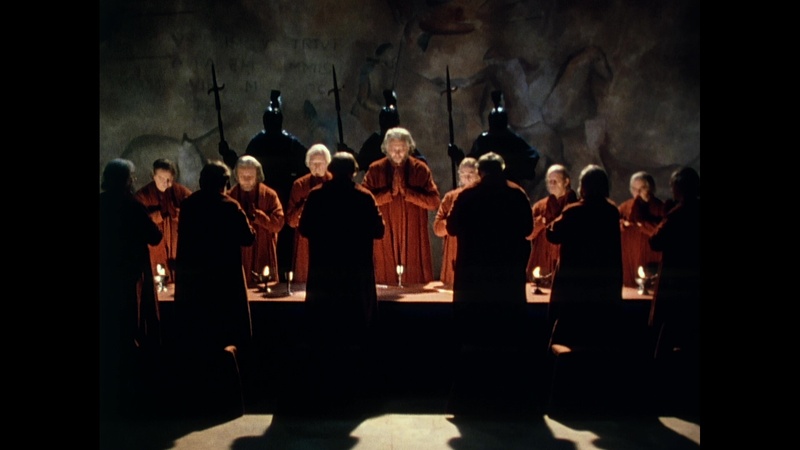 The opera itself, an engaging work of fairy-tale fantasy, is presented as deliberately theatrical here with many cinematic intrusions to give it a dreamlike atmosphere, both reminding the audience (represented in the overture and a handful of other occasions with people watching the opera, including some familiar Bergman-related faces) of the production they're watching and transcending it into a pure film. 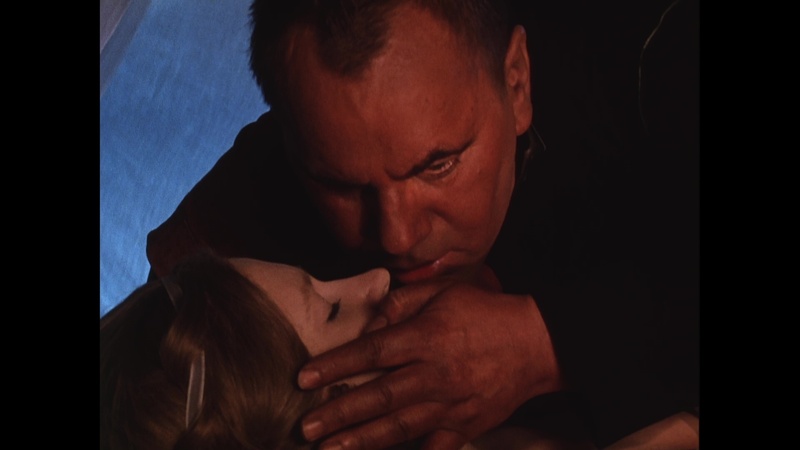 The approach wasn't wholly unique at the time since Ken Russell had tried something in the same sandbox with 1971's The Boy Friend, but Bergman's tactic here works like a charm and would go on to obviously influence later films ranging from Andrzej Zulawski's astounding Boris Godounov to Joe Wright's Anna Karenina. The storyline is very familiar, but for the record, it involves the romantic and familial complications when the Queen of the Night (Nordin) recruits the good-hearted Prince Tamino (Köstlinger) to retrieve her young, beautiful daughter Pamina (Urrila) from her father, the mystical priest Sarastro (Cold), with the jovial Papageno (Hagegård) serving as both a sidekick and audience surrogate. The journey leads through multiple realms and transformations, with both young men on the quest finding a chance to fulfill their heart's desires. 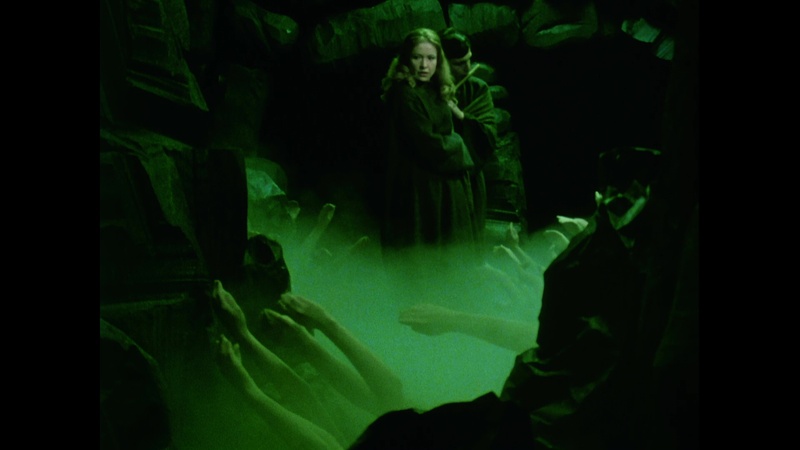 Watching The Magic Flute without knowing it was originally shot for Swedish television offers no clues to its true origins, with regular Bergman cinematographer Sven Nykvist pulling out all the stops for a visual feast loaded with as much color and eye-popping detail as possible for 16mm. 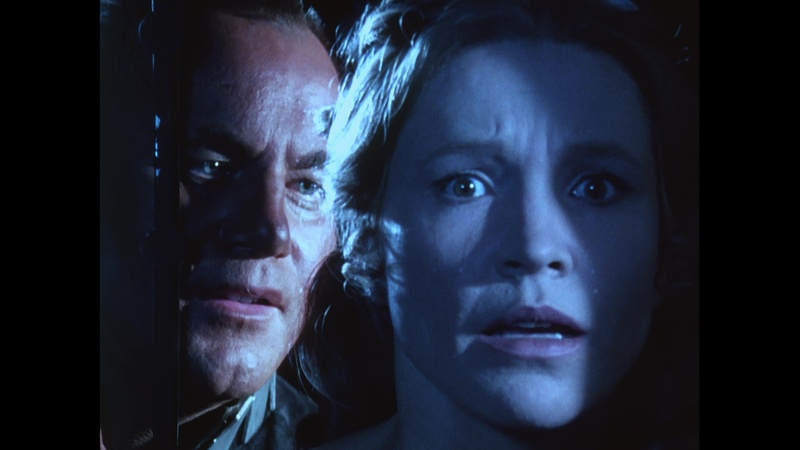 Bergman was never one to coast in his numerous TV projects (see also From the Life of the Marionettes and the chilling, criminally underseen The Rite), and this is no exception with great care paid to both the aural and visual aspects (including the then-innovative use of stereo recording for the soundtrack). 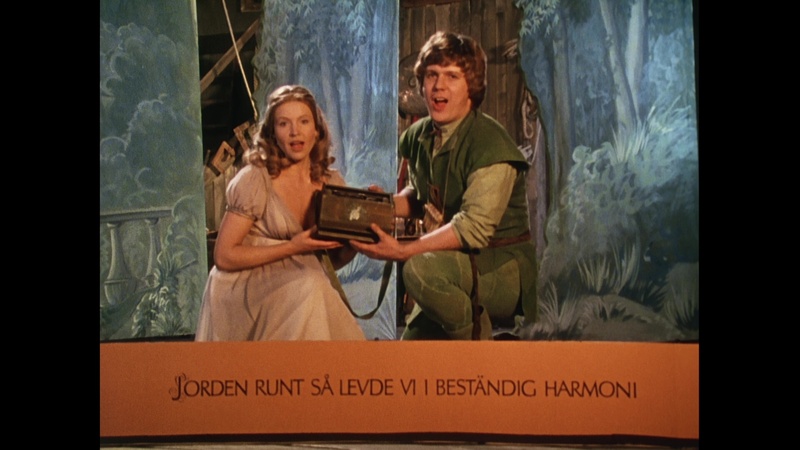 All of the music was prerecorded by the performers in typical musical feature fashion so the sync gets a bit slippery and artificial at times, but otherwise it's a prime presentation of Mozart's opera in its excellent Swedish version as well as a key entry in the director's impressive canon. 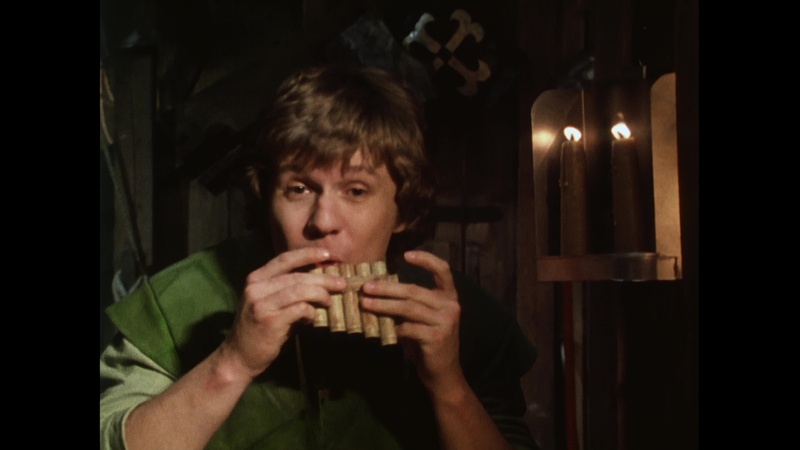 The Magic Flute marked one of Criterion's earliest DVD releases back in the format's infancy in 2000, a no-frills release culled from a dated broadcast master that was underwhelming at the time and looks virtually unwatchable now. 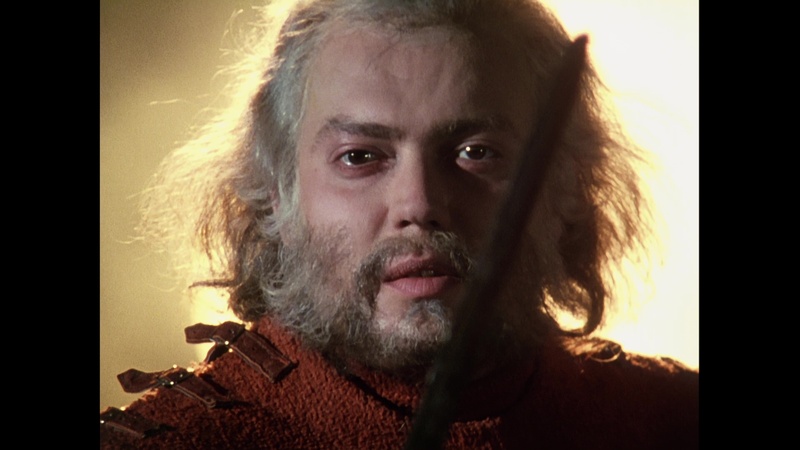 The much-needed dual-format Blu-ray and DVD release from the BFI is a tremendous upgrade in every possible way and makes it far easier to appreciate the extensive care that went into the film's dense visual textures. All the video noise and dull color has been swept away to provide a fine appreciation of this film that will definitely have viewers coming back for multiple viewings. The restored 24-bit LPCM Swedish 2.0 audio is also in top-notch shape now with optional English subtitles provided. The film has also been given some supplements at long last, though on the video side they're all related to opera instead of Bergman. "Papageno" (11m7s) is a charming 1935 animated short from the now legendary Lotte Reiniger, using her trademark silhouette technique to illustrate a passage of the Mozart opera, while "In Mozart's Footsteps" (11m3s) features a travelogue look at Austria (shot just after its annexation in 1938 by Nazi Germany) hosted by British tourist extraordinarie Lady Dunn. The Anthony Asquith-directed 1955 short film "On Such a Night" (37m10s) features an American tourist named Mr. Cornell (Nightmare's David Knight) narrating his trip from London to Sussex where he ends up having an eye-opening opera visit to see The Marriage of Figaro at the Glyndebourne Opera House, all shot in very vivid color (those greens!). The UK trailer is also included, while the package comes with an insert booklet featuring liner notes by Sameer Rahim and Vic Pratt with credits and notes about the supplements. Reviewed on May 12, 2018.